I love a good chocolate chip cookie! When I first saw this recipe I was anxious to try it because I love making chocolate chip cookies! 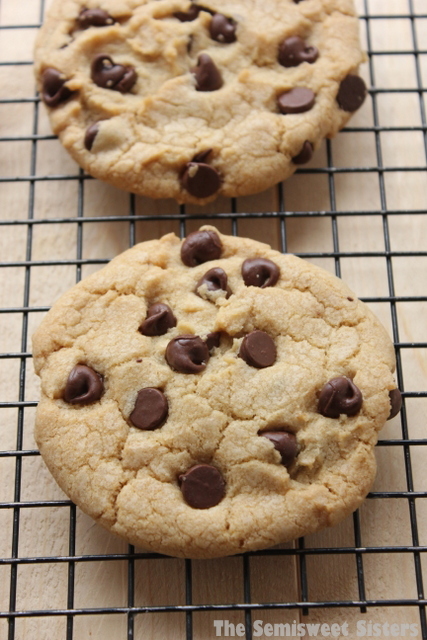 You can never have too many chocolate chip cookie recipes in your recipe box! If you like crunchy crispy cookies then I think you will like this recipe. 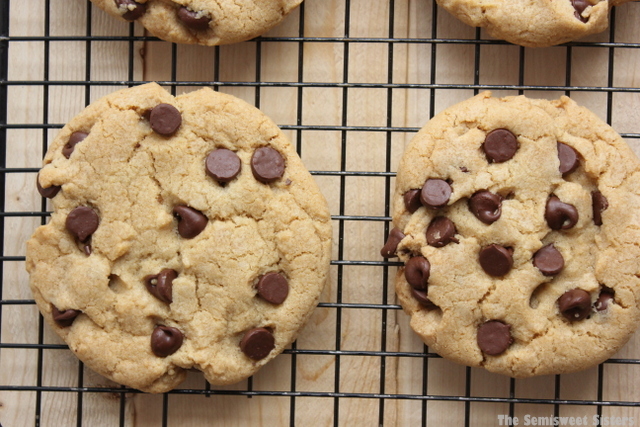 If you like soft chewy chocolate chip cookies then this is probably not the recipe for you. This recipe reminded me of those Famous Amos boxed cookies they sell at the grocery store. They are really crunchy! I think next time I make these I will make them into little bite sized chocolate chip cookies. These cookies went 50/50, half the people I had taste test them liked them the other half thought they were too crunchy. I omitted the coffee powder when I made them because I didn’t have any on hand. I’m sure it probably helps to give them a unique flavor but if you don’t have any or just plain don’t like the taste of coffee then it’s fine to leave it out. Preheat the oven to 300 degrees. Grease cookie sheets, set aside. Cream butter, brown sugar, & granulated sugar with an electric mixer until light & fluffy. Beat in the egg & vanilla. In another mixing bowl, wisk flour, baking powder, baking soda, and salt together. Slowly add flour mixture to the first bowl. Lastly, stir in the chocolate chips & espresso powder (if your adding it). Using an ice cream scoop or a large cookie scoop, drop the cookie dough onto prepared cookie sheets about 3 inches apart. Gently press the dough down with the back of a spoon to make 2-inch circles. If you want the cookies to be more visually appealing, take some extra chocolate chips & press them onto the top of the cookies. 6-8 cookies should fit on each cookie sheet. Bake for about 20 minutes. The cookies will not brown much in the oven. If you want crispier cookies bake for a little longer. Just an FYI – The same recipe was sent to Todd Wilbur of Top Secret Recipes from Neiman Marcus. The only difference is they bake at 375 degree for 8-10 min. or 10-12 min. for crispier. I use a large cookie scoop and do not flatten them. I’ve baked them for a long as 15 minutes and they have never been crispy. I love the added espresso but have also used instant coffee. Not as good but still adds a distinct flavor. This recipe is my family’s favorite chocolate chip cookie.